Read the testimonials from customers who use our products everyday! Each January SIEOC staff begins working on the previous year’s annual CSBG IS report. It’s an overwhelming task that nobody looks forward to. I wanted to share with you that this year’s experience was met with excitement because SIEOC began using the CAP Systems, Inc.™ software in 2016. We were anxious to see if our hard work of learning the software and inputting the data would really pay off. It’s with great satisfaction that I can confirm it was worth it! Compiling the report this year was less hectic, less stressful and most importantly it took less time to complete. Our staff felt confident in our reporting this year, which is comforting. 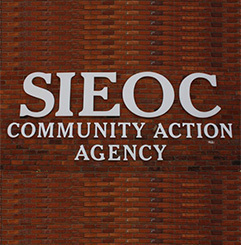 It is exciting for SIEOC to be able to obtain various statistics or run reports in just a matter of minutes. It does take some time to enter data into the system, but it is so worth it! Most importantly, I can’t express how great the software is without acknowledging how phenomenal Lisa Pindar is! If it wasn’t for Lisa’s superior customer services to SIEOC our staff would not be where we are in regards to using CAPTAIN®. She has an amazing attitude, she’s patient, she makes people feel comfortable, she’s motivating, she speaks tactfully, and most importantly she will not let you fail. I’ve been working in Community Action for 8 years and I have learned more about my line of work from Lisa than I have gained in years of countless trainings, seminars, conferences and webinars. I’m thankful that SIEOC was on this journey with Lisa and thankful for the patience she demonstrated while teaching us. I feel like I have gained a wonderful, strong, fun and smart friend. Additionally, I would like to add that Jen Goodman has been a wonderful addition and I look forward to working with her and getting to know her. I’m having the time of my life. This system is truly amazing and will make capturing and reporting data so much easier. It is fun to learn and you folks are wonderful to work with. One of the best decisions I have made in my career with Community Action was to move forward with CAPTAIN® as a partner. CAP Systems, Inc.™ has a winning combination of experience, creativity and professionalism behind their proven system in our great state of Connecticut. Our association has benefited from the community action experience every team member at CAP Systems, Inc.™ brings to us. They understand the challenges we face and have improved communication between the CAA staff and their support team. Often unheard of in company customer care, Brian Cayer, CEO, works directly with our agencies. He also provides on-site presence to our association for technology advice and actively assists us with our constant battles to secure funding for our agencies programs. We just finished nine months of vetting a database system that is dynamite. One of the reasons it is so good is that it was built by a group who were CAP directors and program managers for many years. It speaks our language! It also is able to communicate with the LIHEAP systems at Commerce. We purchased the simple package in the beginning so that it would coordinate all of our program data into one place and so that every program can enter their information directly without having to collect the information and drop it into a single database. It will do worlds more than we have used so far and this year we are looking to have it support energy more fully—making appointments for us, sending notices, tracking progress etc. We had our Department of Commerce Monitor here all afternoon. Veronica and I spent some time showing the monitor the system and she is very excited about what she saw! Over the past ten years, we have been monitored three times by a Federal team as mandated by the Head Start Bureau. We have been recognized by Region I as having an Exemplary Program as a result of these reviews, and during the review process, many positive comments were made about the computer system we were using, and our ability to easily monitor all aspects of the program, from billing to USDA reimbursement, to attendance to health tracking, and more. HS Director, Self Help, Inc. I am writing this letter to share my recommendation of CAP Systems, Inc.™ from the partnership forged between CAP Systems, Inc.™ and the Delaware Division of State Service Centers, Office of Community Services (DSSC/OCS) in providing quality services for the Low-Income Home Energy Assistance Program (LIHEAP). The professionalism, knowledge, and experience offered by your staff were exceptional. Staff was always available to troubleshoot, update, and negotiate whenever it was needed. Timeliness on correcting issues in an often changing atmosphere was most appreciated. The thorough understanding of the LIHEAP was remarkable. The CAPTAIN® database is user friendly, and produces reports with all the data elements required by our federal funding source. I must thank some of the individuals that I worked with directly, including Kathy Simas, Joe Moitoza and Robert Blanchard, and of course, especially you, Brian. You never failed to address any issues that came up in a timely and professional manner. I highly recommend usingCAP Systems, Inc.™ for building systems, data management, and maintenance, particularly in the LIHEAP program. Our agency was interested in the CAPTAIN® software so that we could make sure our clients received every service they are eligible for at our agency. We also wanted to make referrals to external agencies like Human Services so that the clients could receive those benefits. Our relationship with CAP Systems, Inc.™ has exceeded our wildest imagination. Brian Cayer, CEO, has worked with us every step of the way to make sure that the system is set up to give us everything we need. We have expanded the project to include 18 agencies across the state and CAP Systems, Inc.™ has provided excellent support to make sure that each agency’s needs and way of doing business are incorporated into the design. The agencies have had other dreams for their data and CAP Systems, Inc.™ has made them all happen. This level of support is not available to us like this with any other data system that we participate in. The years and years that they have spent refining the system makes so many things possible that others don’t think of. You couldn’t do better. The CAPTAIN® Information System has enabled our organization to better utilize existing resources and manage the vast amount of information needed to process and achieve results. The System has placed us on the cutting edge of technology, the results of which have been recognized by Massachusetts state government and the human services community.